This October, the world's top X-Wing™ players will once again make their way to the Fantasy Flight Games Center in Roseville, MN to compete in the 2018 Coruscant Invitational. For these players, it's a chance to enjoy top-level matches, to test their skills, and to vie for fantastic prizes. For everyone else, it's a chance to see how X-Wing Second Edition captures the essence of fast-paced starfighter battles in the Star Wars galaxy. The first major competitive event for the game's second edition, the 2018 Coruscant Invitational is both the culmination of the 2018 System Open Series and an opportunity for fans everywhere to come together and share their love of the game. And this is an important point to reinforce: the Coruscant Invitational's nod to the X-Wing community is more than lip service; you—as members of the community—are being invited to shape the event itself. Then, after you help us shape the event, we're inviting you to follow the action via Twitch, and we'll reward some of you with prize giveaways. So how exactly does this work? Keep reading. If you're an X-Wing veteran, you're almost certainly aware that your conversion to the game's second edition will be facilitated by three different Conversion Kits—one for each of the game's three initial factions: Galactic Empire, Rebel Alliance, and Scum and Villainy. These kits come with the punch board, ship cards, and upgrade cards you need for your first edition squadrons to make the jump to second edition. If you've been paying attention to our previews and the second edition cards that have already appeared in the 2018 System Open Series, you also know that many of the second edition pilot and upgrade abilities differ from their first edition counterparts. Most of these honor their roots closely, making them immediately recognizable, even as their abilities reflect changes meant to improve gameplay. Some of the ship and upgrade cards in these Conversion Kits, however, are completely new to second edition. Over the next few weeks, we'll review dozens of the faction-specific upgrades for the Rebel, Imperial, and Scum factions, starting next week with a look at the Rebel Alliance Conversion Kit. Then, we'll post a series of three Twitter polls, presenting you with four options from each faction, and we'll ask you to vote for the upgrades you feel best reflect each faction's "essence." 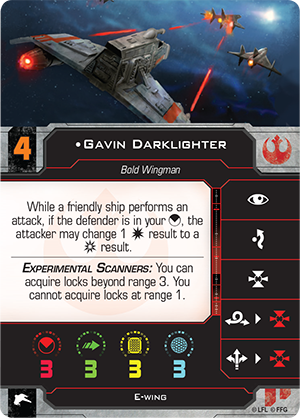 What defines the essence of a faction in X-Wing Second Edition? That's up for you to decide. Do you gravitate toward the most recognizable characters? Do you aim for the upgrades that best reflect a faction's playstyle? Do look for game effects that no other faction can claim? Will you simply vote for the game effect you'd most like to see incorporated into the squads for your favorite faction? However you cast your vote, you'll be doing your part as a member of the larger X-Wing community to help tailor the 2018 Coruscant Invitational. Each participant in the 2018 Coruscant Invitational will be required to equip at least one copy of his or her faction's "essential" upgrade. 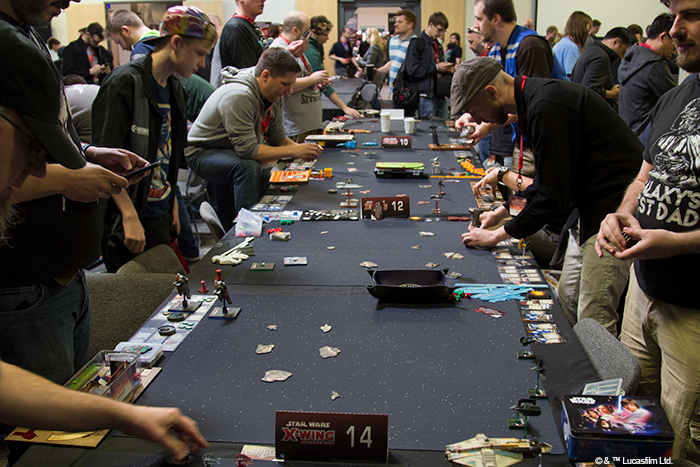 Play your part in the first major competitive event for X-Wing Second Edition. Over the next few weeks, stay tuned for a series of closer looks at the upcoming Conversion Kits. We'll look at dozens of faction-specific upgrades, and in so doing, we'll be highlighting some of the coolest changes between the game's first and second editions. Then, be sure to cast your vote for each faction's most "essential" upgrade. Make sure, though, your vote's for the upgrades you'll most want to see people play at the 2018 Coruscant Invitational—because the winning upgrades will feature in each squadron list for the factions they belong to! After the voting's finished, we'll post the results, and then—on October 6th and October 7th—you'll get to see how X-Wing Second Edition rewards skillful play when we stream select matches at Twitch.tv/FFGlive!